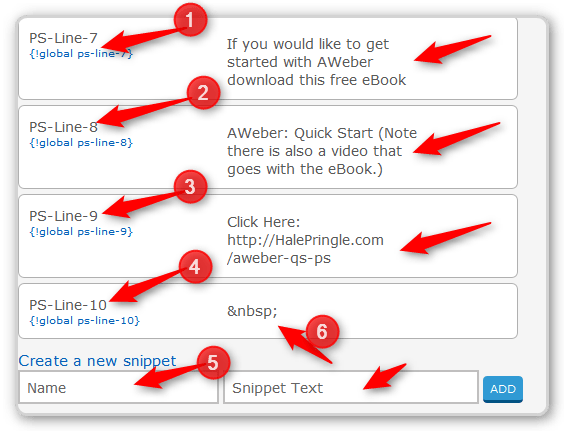 AWeber List Building Tip - Using Global Snippets For Your P.S. You are here: Home / Blogging / AWeber List Building Tip – Using Global Snippets For Your P.S. Using Global Snippets for the P.S. in your emails – an AWeber List Building Tip. In AWeber, global snippets are often considered an “advanced feature” and users often shy away from them. Here is powerful way to use these snippets – and it is easy. What is a Global Snippet? When you create or edit a LIST in AWeber, the second screen/tab gives you a place to enter Global Snippets. Programmers would call these “variables.” The snippets consist of a name and a value. You put the “name” in your email and when the email is sent, AWeber replaces the “name” with the current “value.” A common example is to create a name like “company-phone” and the value is your company’s current phone number. If the phone number changes, you just change it in the Snippet section and every email will now include the new phone number. Why Use Global Snippets in a Post Script (P.S.)? As your Internet Marketing gets more and more savvy, you will find that you have several offers and your list is growing all the time. Add to that special one time events and there are lots of moving pieces to your marketing efforts. Some of the pieces that tends to stay static are your follow-up emails. You spent some time building this sequence and it is time-consuming to go in and edit each email to make a change. It is usually too time-consuming to make a change for a day or a week and then edit every email to change the value email back to its original text. Global Snippets offer a way to change all of your emails at one time. This lets you make the emails to go out today with current information without spending a lot of time. The P.S. is one of the MOST read sections of any email. A consistent P.S. delivers that same message again and again. Sometimes it takes several reads before a subscriber is ready to act. Since I wrote this I realized that the customizable Signature Block is a much easier place to do this same thing. I don’t use the Signature block anyway. This is a block that can contain HTML code (you can make it pretty) and you can type your PS message as one block. Snippets are limited to 100 characters, but that isn’t really a problem. Emails should usually be written using short lines (less than 50 characters), so you just create a Snippet for each line of your P.S. Step #1 – Create or later edit a list. Step #2 – In the Personalize your List section add Snippets Name and Value pairs. Here we are going to edit the List Settings of an existing list. You would see the same screens when you originally create a new list. 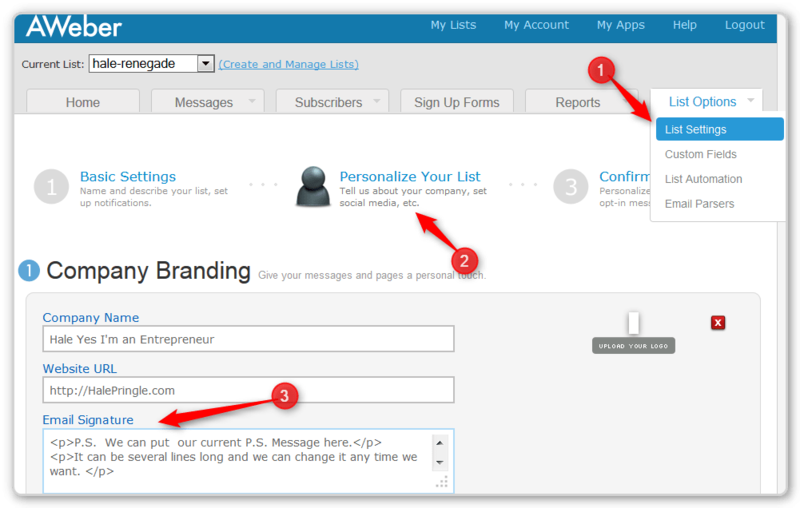 Step #2 – In the Personalize Your List section add Snippet Name and Value pairs. NOTE: In this case my Post Script only has 9 lines. The value “&nbsp;” is HTML for “non-breaking-space.” It will show up as a blank space when the email is sent. Obviously there are Snippets named PS-Line-1, 2, 3, 4, 5, and 6 above this screen shot. 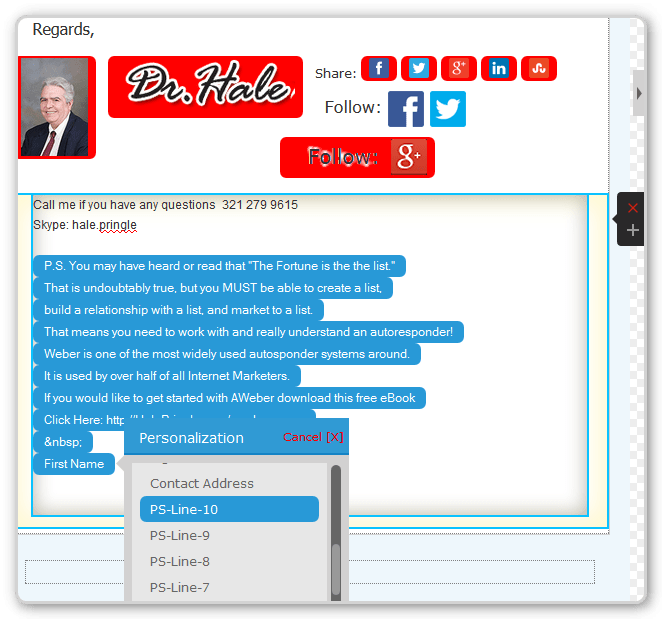 Step #3 – Edit Your Emails and Place the Global Snippet Values in your P.S. There is a blue button at the top of the editor (not shown) name “personalization”. When you click on it, the “Personalization” menu pops open (bottom of the screen above). Scroll down and find your “Names”. In this case they as “PS-Line-1”, 2, 3, etc. When you click on one, AWeber will place the current “Value” (with a blue background) in your draft email so you can see what it looks like. Just add all 10. If I sent this email today, the Global Snippets would render as shown above. I could have 50 or 500 emails with the same Snippet codes in them. Any that were sent out today would look just like this. If I carried out steps #1 and #2 and change the values for the 10 Global Snippets, any emails that went out tomorrow would have the new P.S. message. 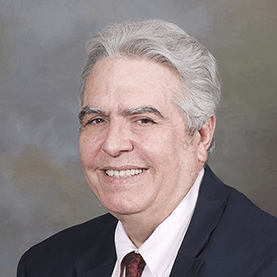 There you have it – Change the Global Snippet values used in your P.S. Call-to-Action in one place and have it ripple through all of your emails. 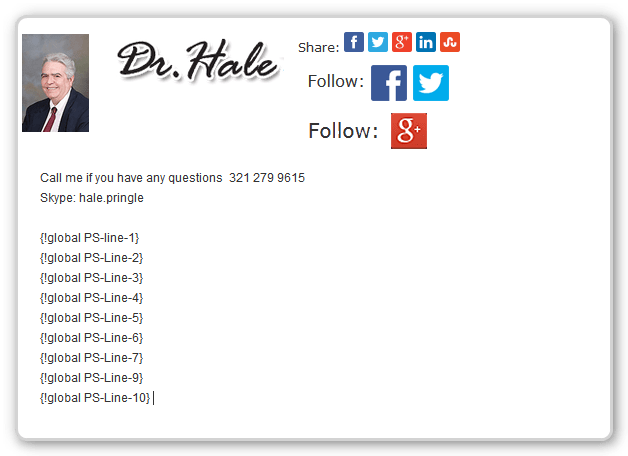 Using Global Snippets or the Signature Block in your P.S. is POWERFUL! I loved that you went through these tips, as many are totally unaware of them, as I have been using Aweber for a few years now, and I have to say this has helped quite a bit. I think that is pretty true, and that is something that I need to be doing! I wish I knew who I an talking to, but What the heck. We always recommend going with WordPress.org, but it takes a little doing. 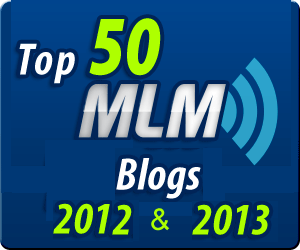 What I really recommend is Ann Sieg’s Daily Marketing Coach program. This is step by step training that walks through identifying and solidifying your target market and what you plan to provide for that market. Then she has training on setting up a WordPress Blog and massive training on how to market to your target audience.